Born and raised in Houston, Texas, Leland M. Irwin attended college at the University of Houston, graduating with honors with a B.A. in English from the Honors College in 1991, while working full-time at his father’s gas station. 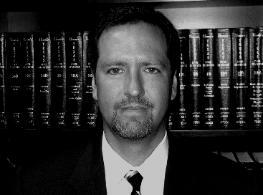 Mr. Irwin then attended South Texas College of Law in Houston, Texas, and obtained his law degree in 1994. He has worked with large, metropolitan law firms in Houston, as well firms in rural parts of Texas, making him at home in any courtroom in the state. Leland enthusiastically serves his community by supporting local civic associations. He has served as a trustee on the Greater Fort Bend Economic Development Council, is the Vice President of the Meyer Foundation in Richmond, Texas, and serves on the Parish Council at his church, St. Paul Orthodox Christian Church. Leland is the proud father of four wonderful children, lives in Fort Bend County, Texas, and is married to his high school sweet heart, Amy.